t’s that time of the year again. The time when the who’s who list of Hollywood celebrities receives their invitations to the biggest night of the year – Oscar night. The red carpet is rolled out and the Dolby Theater in Hollywood gears up to be the venue for this very important night for actors, filmmakers and the techies behind the films. 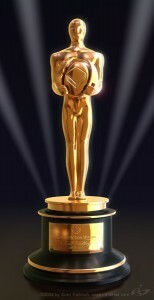 For 86 years now, the Academy Awards night has been an evening when great works of art are recognized and careers are solidified in a field that is all too often, very difficult to break into. In the midst of Leonardo DiCaprio, Bradley Cooper, Martin Scorsese and other big name celebrities, this year, the Academy recognized three gems that come from a very different part of the world. Directors Jehane Noujaim for The Square, Hany Abu Assad for Omar and Sara Ishaq for Karama has no Walls will be gracing the red carpet for their films this year. They will be rubbing shoulders with A-list celebrities and potentially beating them out for an Oscar win for Best Documentary, Best Foreign Film and Best Short Documentary. The diversity of nominations for the Academy Awards this year comes as a great moment for Arab directors to be recognized for movies that carry important messages to the world. Their films cover crucial moments in the history of these countries. With these nominations come hope that the potential for filmmaking from the MENA region can, in fact, make it in Hollywood and become critically acclaimed. Nominated for Best Documentary Feature is The Square, directed by a Harvard University graduate, Jehane Noujaim, 39. She traveled to Tahrir Square in Egypt during the protests leading up to the downfall of former president, Hosni Mubarak. During these crucial eighteen days, Noujaim set up camp alongside fellow protestors and began following what would become the three leading figures in her documentary The Square. The documentary has been nominated for Documentary Feature. Camera in hand and her tent pitched for the long haul, Noujaim began filming the leads. “I follow people I fall in love with. I don’t follow people that I’m trying to negatively expose because the film takes so long you have to be a little crazy to do that. And you don’t know where they’re going and you’re going to be following this person for a while,. In this case it took three years. And then you’re editing them and then spending time releasing the film. So if you follow someone you better be following people that you believe have important valuable views to share with the world,” explains Noujaim. 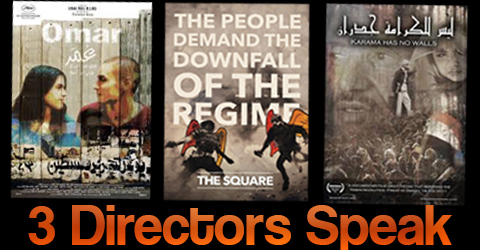 The Square gives audiences a very up close and personal look at the revolution that ousted Mubarak years ago. While it shows the events of Tahrir Square during the eighteen days leading up to the final decision by Mubarak to step down, it also follows an emotional journey of our three heroes, Khalid Abdalla an Egyptian expat; Ahmed Hassan, the quintessential Egyptian; and Magdy Ashour, the Muslim Brotherhood Egyptian. The twist falls in the fact that these three young men came from incredibly different backgrounds and met because they happen to set up their tents alongside one another and fight for a common cause. “Everyone was sleeping next to each other in tents so it wasn’t that difficult to find. They all met each other separately as well because they were all among each other in the square. People were fighting, dying, eating next to each other. These are bonds that were created that are difficult to be broken,” says Noujaim. 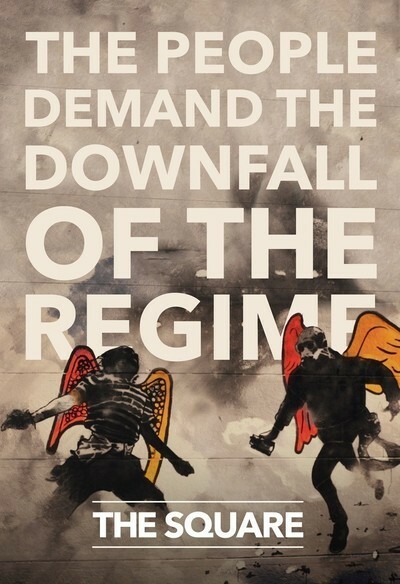 Noujaim set out to create a documentary that will allow its audiences to live each moment of the Egyptian revolution. “I make films which are character driven, meaning that I concentrate deeply on the emotional story of a few characters,” she says. “So you’re following this emotional journey because you want to give people a sense of what it feels like to be in their shoes.” Viewers are asked to focus more on the people going through the events than the events themselves allowing them to connect with them on a much deeper level. Noujaim and producer Karim Amer hoped to recreate the strong emotions that millions of Egyptians felt during that time and allow for their voices to be heard and their version of what happened as well. “I think that what happened in that square is that people decided that they would be the authors of that story that they would reclaim that authorship and there’s no stopping that,” says Amer. While The Square received award after award at film festivals, when it came time to release in Egypt, Noujaim and Amer were faced with challenges and their film was banned on a technicality. “We had initially submitted the film to censorship, we waited three months for a response and we submitted it through a number of different ways. Our first showing was supposed to be at the Panorama Film Festival but two days before the festival, they said that they would not issue us a formal letter. They would give a verbal okay but you need to have a formal letter in order to legally show the film,” explained Noujaim. And so the main characters and full cast of the documentary were not allowed to watch their own story. However, as word spread of the banning as well as the nomination that it had received, officials have asked Noujaim to resubmit her film to the censorship department so that it may be reviewed and given an official okay to screen in Egypt. Nominated for Best Foreign Language Film is Omar, directed by Hany Abu-Assad, 52. He also directed the first-ever Palestinian film that was nominated for an Oscar, Paradise Now. Filmed in the West Bank, the story of Omar is a romantic, political thriller. “The story came from a night that I wanted to do something very strong. I felt that I needed to take in my own experience. It is partly things that I lived during my last film Paradise Now. I was constantly paranoid that the Israeli army had bugged one of my guys. Maybe it’s true or not but the idea that someone from your crew is spying on you is a terrible idea,” explains Abu-Assad. That, along with snippets of stories that he came across eventually became the story line for his second Oscar nomination. Having been nominated for an Oscar once before, Abu-Assad remains calm and hopeful about his film. He feels excited that another one of his films made it this far, but he also shares the excitement of his fellow Arab filmmakers and first time Oscar nominees. “Three Arabs are nominated this year. It’s a great year for us to be recognized and I’m happy for that,” says Abu-Assad. It truly is a great year for the people whose lives were directly affected by the topics of these pieces and who now have an opportunity to be heard on an international level. 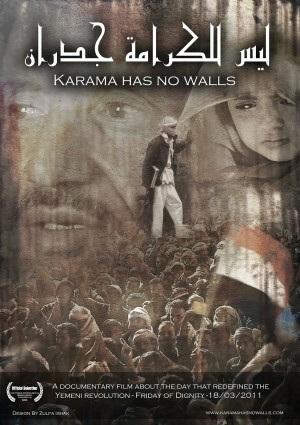 Nominated for Best Documentary Short Subject is Karama has no Walls directed by Sara Ishaq, a Scotish-Yemeni woman, who had set out to make one film and ended up with two. In an incredible turn of events, Ishaq managed to put together twenty-six of the most powerful minutes on the Yemeni uprisings during the Arab Spring in 2011. “It was as if this road was being paved, although it was challenging it was very positive. Everything fell into place almost as if it was meant to happen, this was a film that was meant to be made,” says Ishaq. Her documentary takes you all the way to the frontlines of the massacre while bringing you in emotionally with the interview cuts from four men who were directly affected by the events that would change the nation. The road to the Oscars for Ishaq, however, was an eventful one. 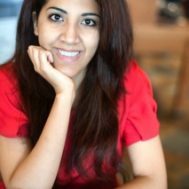 Ishaq was on her way to Yemen to get footage for a class project on what would eventually become The Mulberry House, a film class project that also became her second documentary, when clashes in the square began upon her arrival. Seeing the staggering differences between what the media was reporting and what was actually taking place in the square fueled Ishaq to arm herself with her camera and create her Oscar nominated documentary. “It was frustration, it was complete and utter frustration in the lack of information coming out of the square. It would be as simple as my family would stay home and I would go to the square and I would see and hear stuff there. I would come home and they would have no idea about any of it,” explains Ishaq. Determined to get the stories of the people from the square out, Ishaq decided to put together little clips and upload them on YouTube. “I would make these short clips of a minute or two and upload them on YouTube and they started spreading and people were saying we didn’t know Yemen was having a revolution. So it turns out that no one really knew anything,” says Ishaq. Eventually the hours of footage became too large for a small clip online and the stories far too disheartening, it had to become Karama has no Walls. The nomination came as a great recognition for the team that helped edit the film with Ishaq. “When we would get really depressed during the editing because the footage was so heavy and gruesome, I would say that a good way to motivate ourselves would be to imagine that we end up going to the Oscars,” recalls Ishaq. The thought was generally met with laughter and humour at the idea because of the circumstances under which Karama was born. “The film had no funding, we were using our own equipment and footage that was filmed on flip-cams and we were editing on a laptop in a coffee shop,” says Ishaq. “We interviewed people in a toilet because it was the only place that was quiet enough. We taped a black curtain around the wall that would fall all the time during the interviews.” But after screenings and awards, Ishaq received what was once the product of motivation, her invitation to the Oscars. This year’s Oscars will be different than any before. Rather than simply watching the red carpet to see the best and the worst dressed, audiences will see three Arab directors receive commendations and recognition among their peers in Hollywood. Coming from an ancestry of storytellers, we, as Arabs, can now confidently proclaim that we will follow in their footsteps and tell the stories of our peoples and their struggles without fear of rejection. The characters in these films will find peace and pleasure in knowing that their story reached the other end of the world and was told by their fellow sisters and brothers in our struggle for freedom, peace and the right to live with dignity. Associate Features Editor, Yasmine Hassan, is a freelance writer in politics and current events with a B.A. Good content. Thank you. i like spiritual writings. Does Friendship Between Christians and Muslims Require Agreement?